In Iran, there is freedom of speech; but there’s no freedom after speech, Dr. Thamar Eilam Gindin told CBN News. Nearly six decades after Shah Mohammad Reza (Pahlavi) granted women the right to vote in 1961, and after nearly four decades of Islamic reversal of those women’s rights, the Iranian citizens remain imprisoned by the Khomeinist regime. Throughout 2018, more than 7,000 protesters, students, journalists, environmentalists, workers, and human rights defenders, including lawyers, women’s rights activists, minority rights activists, and trade unionists, were arrested in Iran, as reported by Amnesty International. Allegedly, most of the arrests were made arbitrarily.Amnesty International calls this crackdown by Iran’s Islamic regime its ‘year of shame’. Esmail Bakhshi, the leading activist and spokesman for workers’ rights, was re-arrested recently along with Sepideh Gholian in an act of obvious revenge for their talking publicly about the torture they have undergone during interrogation. The regime re-arrested them on the bogus charges of allegedly “provoking a public outcry”. 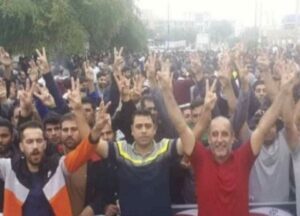 They had been first arrested on 18 November 2018 after taking part in the peaceful protest gathering in front of the governor’s office in Shush, Khuzestan province. Esmail Bakhshi (in the middle of the image with dark t-shirt) along with protest workers. The state-controlled TV, run by mullahs, aired a “documentary” aiming to discredit the labor rights movement in which the detainees were forced to confess against themselves. “The authorities must release them”, Amnesty said in an announcement. 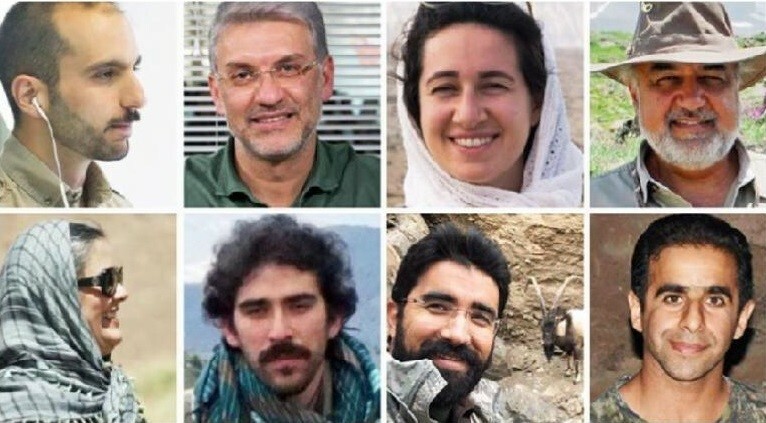 Eight environmentalists have remained arbitrarily under arrest for more than a year on the ambiguous charges of “espionage from military centers, corruption on earth” (ifsad fil-arz), and relationship with the hostile state”. Eight environmentalists have been under arrest for more than a year in Iran. The malicious Khomeinist regime is not only oppressing its citizens, but also it has tried to destabilize the region through funding, support, and equipping of Islamic militants, ever since it seized state power in the 1979 Islamic Revolution in Iran. After the 2015 Iran Nuclear Deal, the Islamic regime was given as much as $150 billion in cash directly into its bank account. That windfall has never been spent on the Iranian people, but rather to enrich the repressive regime. 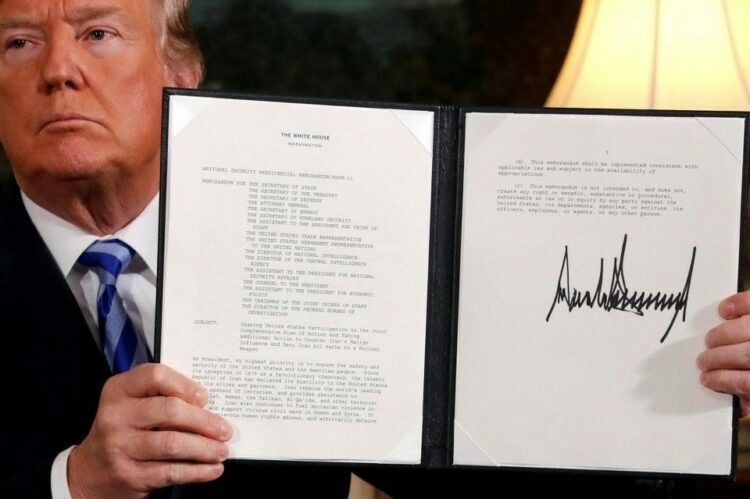 So, President Trump was right to withdraw America from the bad deal, as he called the agreement “the worst ever”. Trump’s decision to blow up the Iran Deal. Iranian citizens have remained frustrated by their harsh lives under the repressive regime, as they have demonstrated their disapproval of the Supreme Leader’s control since late December 2017. Now, Iranians fed up with the mullahs are ready to collapse the regime through a civic revolution, as I detailed in February 2018, “Why the West Should Support Iran Protests”, published in Times of Israel. After I published that piece, I was mysteriously blocked (banned) from being able to sign in to my personal blog to publish new articles on TOI. The Iranian economy has been crushed by sanctions, and by state mismanagement. The starved people are forced to queue up for daily necessities like meat and chicken. Prices rose, and their purchasing power declined. The Iranian people can be mobilized in resistance at this time, as they face such economic difficulties forced upon them by an unpopular regime which is seen to be stealing from them. Now, Western countries must choose whether they will continue the relationship as it is with the Islamic regime in power, and hope to change the threatening and aggressive behavior of the regime; or if they will support the mass of Iranian citizens as they try to bring a peaceful transition out from under Islamic state control. The Iranian people will never forget, never forgive those who enable their oppressors, as the exiled Crown Prince Reza Pahlavi said: “The free world resisted Soviet totalitarianism, Nazi fascism, and South African apartheid; but when it comes to the oppressive Islamic regime in #Iran—a totalitarian, fascist and apartheid system all at once—far too many democracies prioritize trade deals. #Iranians will not forget”.